Cabernet Sauvignon is probably the most famous red grape variety in the world. Its vines adapt readily to the most diverse climatic conditions and eagerly embraces the characteristics of the volcanic, mineral rich soils of Lazio, the region of Central Italy where Rome is located. A deep ruby-red wine. 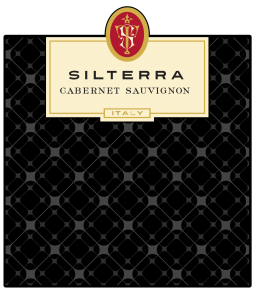 Silterra Cabernet offers raspberry, blackcurrant and black cherry aromas followed by balsamic, earthy notes of juniper and moss. The mouthfeel is smooth and rich, the tannins stylish, the finish complex. Ideal for rich meat dishes and unsalted, semi-mature Pecorino Romano, Lazio’s famous sheep’s milk cheese. After harvest, the grapes are de-stemmed and crushed. The must is left to soak on the skins at controlled temperatures for 5-6 days. A partial malolactic fermentation is carried out, and then the wine is transferred to cement tanks and left to rest, after which it is bottled.